by Serge N. Bolshakoff- 170 pgs. 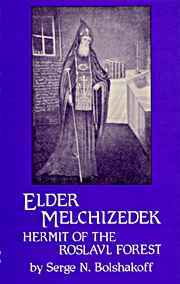 Elder Melchizedek (d. 1840) was one of hundreds of outstanding spirit-bearing Fathers of Holy Russia. He lived to be 125 years of age and attained the original state before the Fall.